Fishermen in the country, particularly those in the Western Region, have indicated that most of the areas where they operate on the sea have been taken over by players in the oil and gas industry. They reiterated their commitment to promoting peaceful co-existence with players in the oil and gas industry on the sea. This came to light during stakeholders' event to discuss the ‘Safe Sea Access' framework, which seeks to promote peaceful co-existence between fishers and offshore oil and gas companies. The Safe Sea Access Framework is a document that is aimed at managing the safety zone restrictions on the sea. The fishermen claimed the framework did not incorporate some important issues that affect their activities. 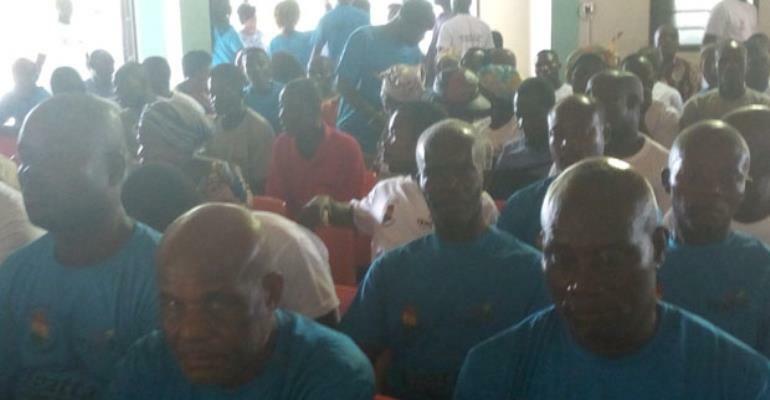 Speaking on behalf of the fishermen, Nana Kofi Bentil, Chief Fisherman of Lower Axim, noted that the framework did not capture activities of offloading vessels, which move through fishing grounds and hamper fishing activities. “Now we have three Floating Production Storage Offloading (FPSO) vessels and each has safety zone around them. However, the framework did not consider the cumulative effects of all the zones on fishing,” he asserted. Nana Bentil also mentioned that the framework did not tackle the destruction of their fishing gears by the supply vessels. “Offshore and near shore pipe laying affect our fishing. Sometimes we are told to stop fishing for days. Currently ENI is laying pipes in the Sanzule area and our fishing has seriously been affected,” he added. He therefore recommended that the 500 metre safety zone around the FPSOs should be maintained but the demarcations around them should be visible so that the fishermen would see the marked areas and stay away. He also noted that a comprehensive marine spatial plan should be developed immediately to manage the sea space and ensure sustenance of fishing activities. The chief fisherman suggested that the fisher folks should be educated regularly on FPSOs. He also indicated that oil companies should increase their social investments to benefit more fishermen, adding “There is the need for more educational scholarships for the children of fisher folks. “There is also the need for adequate compensation for fishermen who are sacked from fishing zones during offloading and exploration. Nana Kojo Kondua, Chairman of the Western Regional branch of the Ghana National Canoe Fishermen Council (GNCFC), on his part, also called for all canoes, gears and fishermen in the region to be comprehensively insured. “Fishermen affected by the expansion of the safety zones should be put on a monthly allowance to compensate for the no fishing period,” he stressed.